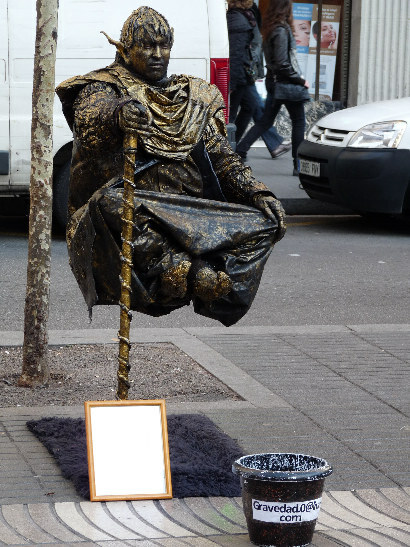 If you walk along La Rambla street in the center of Barcelona, every time you will come across with human statue art. Everywhere around you. And some of them make my brain to stop, like the one on the photo.